The invention of the e-reader is a gross step of technology that brings our digital life two steps ahead. We are now able to read so many things, storing them in a small chip. This innovative invention is known as the electronic paper. In this electronic paper, we can read a lot of things. We do not need to carry loads of books to anywhere we go. We can take all our books with this electronic paper. The popularity of this invention is increasing rapidly. Now, many top-level renowned companies are making this electronic paper and provide for us. But we may not know that it takes a lot to invent this miraculous thing. We are now going to know 2 important steps of the invention of the electronic paper. The invention of the electronic paper takes almost forty years to make it. The first step was taken with the concept that began to cover up the display problem of poor quality computer. The CRT light was very dim and so, people could not work at daylight. They started to work in a dark room by keeping the lights off and blocking the daylight with shades. This was the time of 1970 when the concept of electronic paper has come up. To cover up the dim light issue of the poor quality computer was solved by a computer-generated color graphics. This was invented by an employee of the Xerox Palo Alto Research Center. He built the color graphics to be operated by a mouse and a laser printer. The employee was the Nicholas Sheridan, who invented this thing called the Gyricon. The word Gyricon were taken from the Greek meaning the rotated image. It was a paper which was comprised of millions of polyethylene spheres and these spheres were 75 to 106 micrometers in diameter. This was embedded in a thin layer of plastic. With these materials, the text and images were created the rotation causing by the voltage. After the invention and use of this Gyricon, Sheridan had got the permission to work on the invention of the electronic paper. He worked to make a turn to develop electronic paper from1992 to 2005. Though it was stopped in 2005, it was the first strong step to start production of the electronic paper technology. The first eBook reader was the Rocket eBook and the Softbook. They were starting their journey in 1998. It had the ability to have the maximum memory of about 64 megabytes which can store 100,00 pages. A rechargeable battery was provided with it which could run the reader for 5hours and need 2 hours as a recharge time. The cost of this thing was $600. The e-readers of the early time could not use the e-ink. They used a backlit flat panel display. 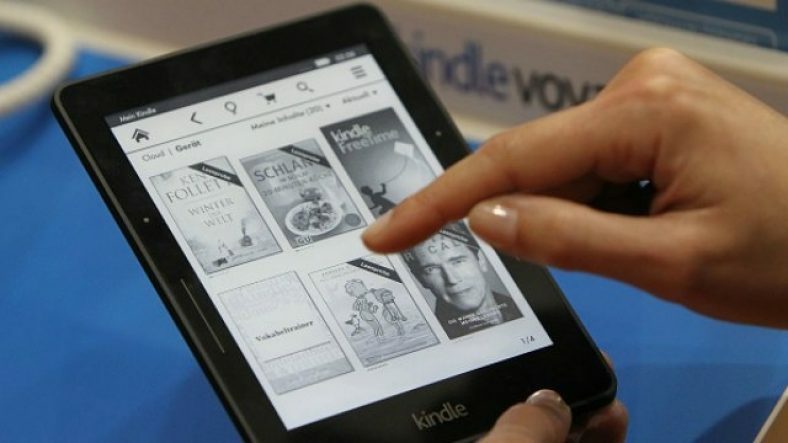 The electronic ink technology was developed taking some more time to be invented but this invention has turned the e-reader technology a sharp move. Actually, this e-ink works as an electronically filed application to the particles of titanium dioxide per one micrometer in diameter. This e-ink technology can consume a very little energy. Thus it behaves like a paper and gives the powers to today’s e-readers. The high-resolution Nanoparticle e-ink was invented by the professor of the MIT media lab in 1990. The co-founder of this e-ink corporation was the partner of various companies. It was purchased by the prime view international in 2009. On the note of expert’s belief, the transaction should provide the financial backup and then the development of the first color e-paper would be speeded up. There were several steps taken for the development of high-resolution e-ink. For example, the Seiko Epson Corporation developed an e-paper made by the plastic substrate in 2006. In Japan, a proto-type e-ink screen was also put on the market which utilized a plastic construction. A potential application of e-paper was on billboards. It was a labeling method. The Gyricon technology was used for this application. Besides, many more uses were found in this electronic paper. E-paper displays were conceivably used as a Low- power digital screens and this was used in various electronic appliances. The different types of use of electronic paper increase the demand of this. The global warming and deforestation issue was encouraged by the production of physical paper and discouraged by the e-paper. So, the production of e-paper is spreading fast and increasing rapidly too. Many surveys proved that around 30 million acres of forest are destroyed every year to fulfill the demand for paper. So, e-paper is the best solution to avoid this destruction. If the use of e-paper can be increased, then the use of paper can be decreased and the destruction of nature can be stopped. A lot of work and dedication invented today’s electronic paper. From the very beginning, different types of systems and methods were being tried by the developer of e-paper. But more innovation may be needed to increase the ease of the use of e-paper. So, keeping the demand of this in mind, financial support should be given to make progress and new innovative steps to upgrade the functionality of e-paper.